This stunning Pearson home is a MUST SEE! Wonderful open floor plan is great for entertaining. Soaring ceilings & gleaming wood floors on the main level. Dramatic 2-story great rm with fireplace & Juliet balcony. Chef's kitchen features granite, island, huge walk-in pantry, & a breakfast bar for quick meals. You'll love the main level master suite with rear patio access, glamour bath w/ sep shower & jetted tub, & a walk-in closet. Upstairs are 3 add'l BRs, bonus rm, & office. Cov'd rear porch & large grilling patio overlook the spacious privacy fenced b'yard backing to green space. Resort style living w/ clubhouse, lake, pool, tennis, & more! 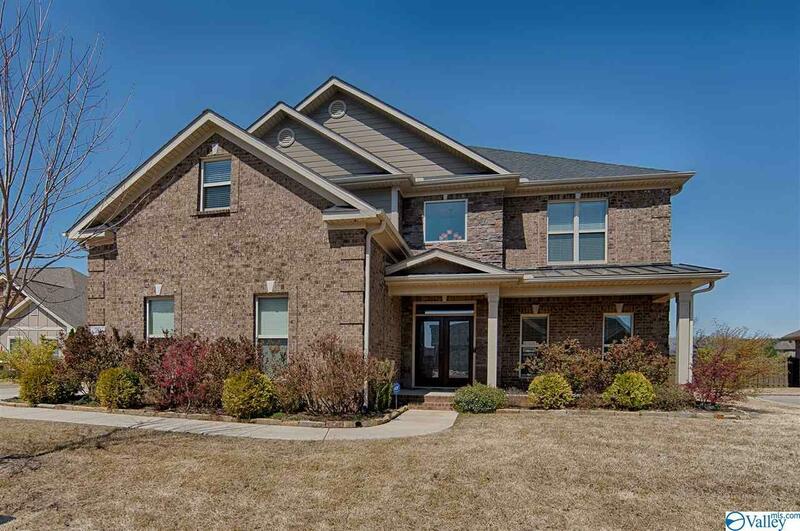 Close to Redstone Arsenal & Research Park.